If you weren’t already aware of our amazing one year satisfaction guarantee, let me take this opportunity to fill you in. 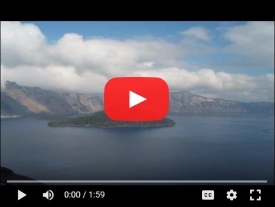 We realize that a lot of our customers are very busy and can’t always get away to view the beautiful Oregon land that we have for sale. 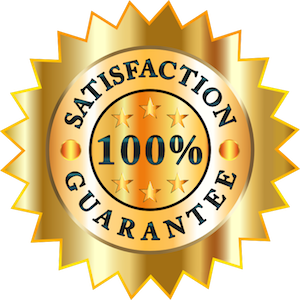 To make it easier on people, we are very pleased to be able to offer a very unique satisfaction guarantee. Here’s how it works. If you purchase a lot from us sight unseen, you have a full year to visit the lot and check it out. If you don’t like it for any reason, you can transfer the equity that you have already paid to another lot that we have available at that time. No questions asked! We’re happy to do it because we want all of our customers to be happy with the lot they end up with. Where else are you going to find a guarantee like that? Believe it or not, quite a few of our customers do, in fact, buy a lot from us without seeing it first. We do our very best to make the purchasing process go as smoothly as possible. Unlike buying a home with a loan from a bank, you don’t have to spend hours doing paperwork when you buy from us. All you have to do is let us know which lot you’re interested in and provide us with some basic information so we can write up the contract. We’ll then mail you a packet that includes the contract as well as some information about the particular lot that you’re interested in. After you read it, you simply sign the contract and mail in your down payment. It’s really as simple as that! Keep in mind that we never do credit checks so whether you have good credit, bad credit or no credit, you’re automatically qualified to buy from us. Our down payments are as low as $200 and our monthly payments are as low as $101.90! We have a proven track record as well. We’ve been selling land like this since the late 1980’s and we have an A+ rating with the Better Business Bureau! Here’s the proof: Michael E. Long, Inc – Better Business Bureau Rating. This proves that we take the satisfaction of our customers seriously. If you would like to see a full list of our available properties click here now! Please take just a moment and tell your friends and family about Oregonland.cc. We would really appreciate it!